For the legions of fans still devoted to the e-ink reading experience — easier on the eyes, the batteries and the biceps — the big news to come out of Amazon’s recent high-profile product launch wasn’t its fancy new Android tablet with a backlit 7-inch screen. It was the line of new e-ink Kindles. 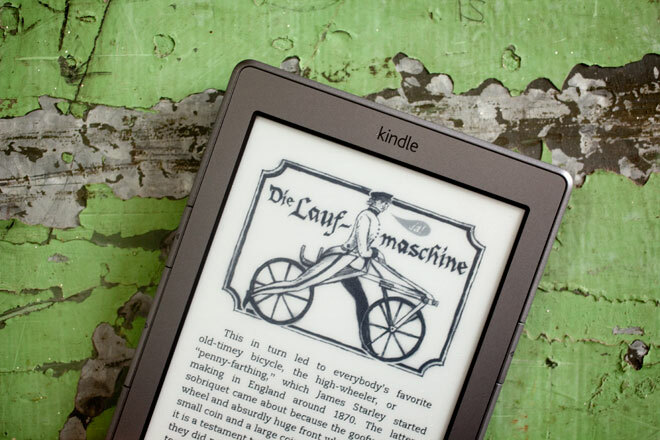 Amazon’s new Kindles bring an updated hardware design to its family of popular black and white e-readers. There are different configurations — touch and non-touch, Wi-Fi-only, and 3G cellular data-enabled — all being sold at different prices, and all of them cheaper than the $200 Kindle Fire tablet. They’re made for people who don’t want the tablet; those who just want to read comfortably in a way they’ve grown familiar with, thank you very much. The Kindle’s new form factor is noticeably smaller than the previous versions. It’s been shrunk down to about the size of its closest competitor, Barnes & Noble’s Nook e-reader. The keyboard is gone, shaved from the device’s chin like the beard of a reformed hipster. 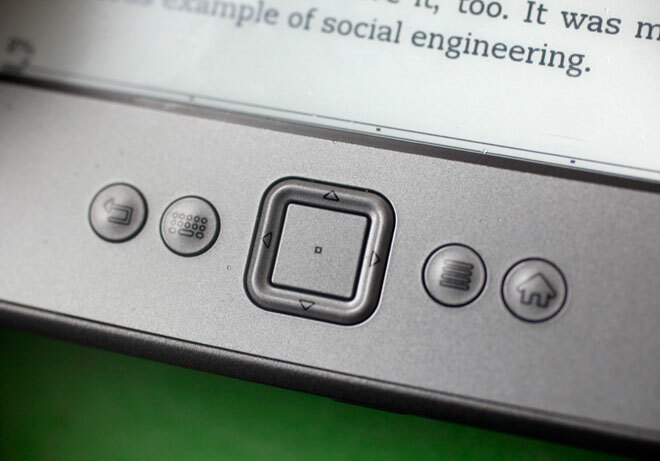 In its place are four buttons: “back,” “menu,” “home,” and a button that brings up an on-screen virtual keyboard, plus the Kindle’s familiar five-way controller situated in the middle.